Keep your plants running efficiently while preventing contamination, recalls, and downtime. The LPS® Recall Defense System is designed to minimize the risk of MRO chemicals used throughout your facility. A full assessment of your current MRO chemical products performed by our technically trained regional sales managers. A plan to consolidate and simplify your maintenance products to reduce safety concerns, eliminate duplicate inventory, and provide cost savings. Permanently printed labels that cannot tear and contaminate food. 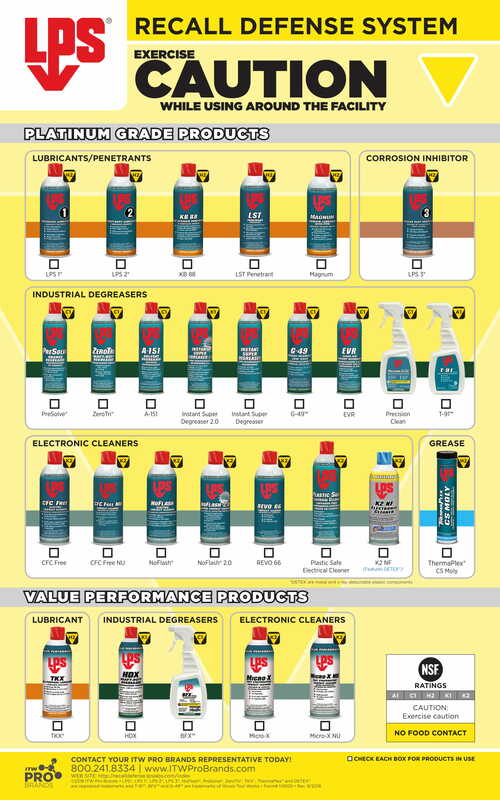 Preprinted GREEN or YELLOW labeling to ensure maintenance employees use and store MRO chemicals in the proper locations. DETEX® our patent-pending metal and x-ray detectable packaging to reduce the risk of undetected foreign object contamination. 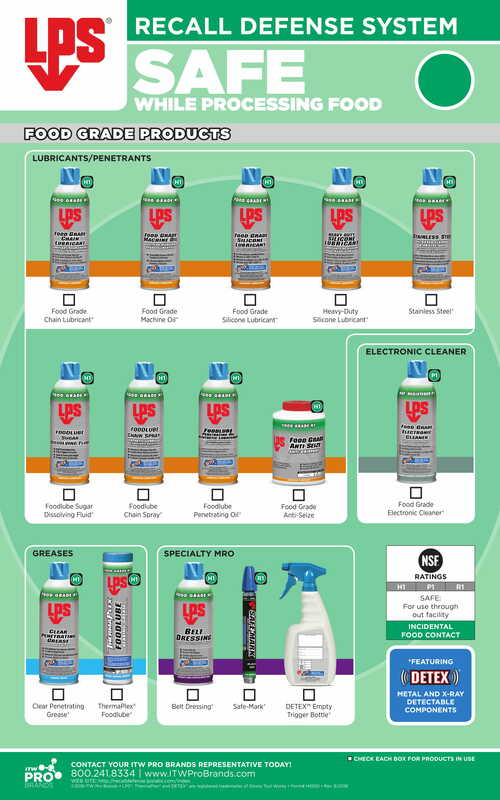 Posters, shelf labels, and training resources to ensure proper use of LPS® products around the facility.